MailRelease--the low price revolution of email marketing tools. MailRelease is the email marketing tool just right for you to promote your email marketing business. "Affordable-price" enables you enjoy the same or better services with pretty low costs. "Easy-to-use" makes you manage your profitable market comfortably. MailRelease intends to make email marketing easy from the very beginning. We simplify the process of email marketing from building up your email list to creating emails and from sending out emails to receiving reports. You can create professional emails with our beautifully designed templates; the shining emails will catch your customers' eyes . You will not miss the competitive price and strong functions of our service. What is more,you get a chance for free trial of our products for 90 days. 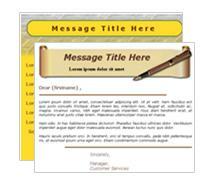 You can test all these functions we provide and enjoy the convenience we offer to you in E-mail marketing. Copyright© by MailRelease.Com. A Subsidiary of NetDorm, Inc. All Rights Reserved.